There will be relevant content for all Sectors: Destination Marketing, Venues, Meetings Management, Transport and Meetings Support. AMP’s programme is not aimed at CEOs and other top strategists (the education at the Congress is more relevant for this audience), but senior client-facing directors will also be welcome. 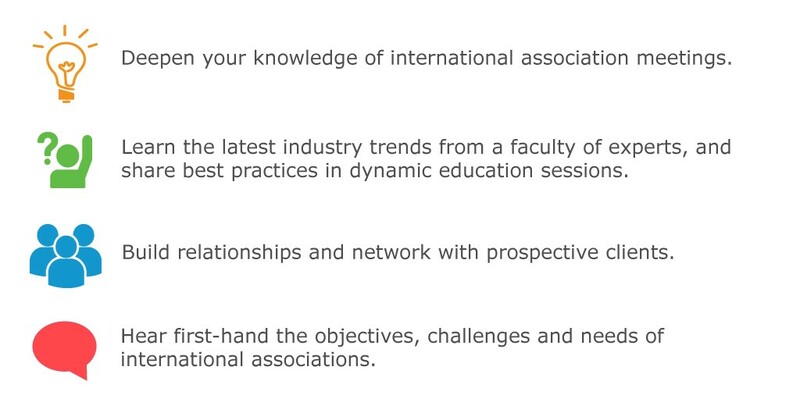 AMP’s educational topics will be just as relevant to past RSMP delegates, but will appeal to a wider range of ICCA members. We will be actively discouraging a “selling atmosphere”, to encourage open exchanges of views and experiences.